Join us this May for another classic Ancasta Motorboat Club event. We are planning to venture across the channel on the second bank holiday in May for more fine boating, eating and drinking! Friday 24th May – Gather in Yarmouth Harbour, Isle of Wight for supper and a skippers brief. Saturday 25th May – Cruise over the channel to the beautiful port of Saint Vaast. Sunday 26th May – Short cruise around the coast from Saint Vaast to Chebourg for a skippers briefing and evening meal locally. Monday 27th May – Cross channel back to the Solent region. The event is open to anyone who owns a motorboat that is capable of crossing the channel at a speed of 20-22 knots. 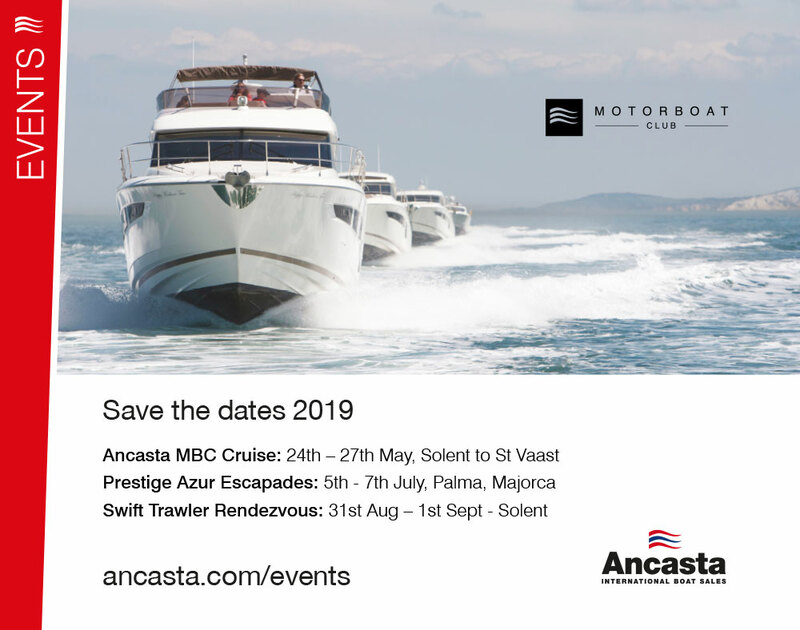 The Ancasta Motorboat Club if free to join – REGISTER HERE. You can also select the event you wish to join – there is a £250 fee per boat to attend an event. Ancasta will make all arrangements including passage planning and safety precautions – however the cost of berthing, fuel and meals are the responsibility of the individual owners. Keep an eye on this page as we will update with more details as they are secured. Space is limited to be sure to sign up soon!